I was thinking the other day about the workings of a hungry nest of baby birds. 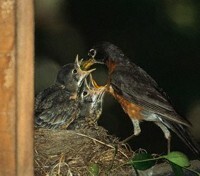 The mother swoops in with the worm and the babies begin their noisy aggressive cheeping. Their little mouths are open as wide as they can be. Their mouths, in fact, seem to be the biggest part of them. Mother bird divides up the worm—I guess she has a way of doing it evenly—and then she’s off for another worm hunt and the process begins again. Somehow this picture made me think of me being one of the baby birds and the Lord being the mother landing at the edge of the nest to fill MY needs. 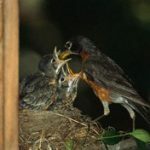 I could picture myself muscling my way up to the top of the nest, pushing hard all around me so that my mouth is the only one convenient enough to drop some worm into. I’m chirping, “Mine, mine, mine.” I want the most worm; in fact, I want the whole worm. At those times when it seems I have been in starvation mode waiting for answered prayer I am very hungry. Move over little sibling birds, this worm is for me! I’ve been through this same kind of scenario many times before. I’ve asked God for something and then felt hesitant because it’s something that I perceive many other people want too. My convoluted thinking momentarily says that I’m responsible for making things even–making sure there is enough to go around. Not true. The Bible says, “Whoever has, to him more will be given, and he will have abundance; but whoever does not have, even what he has will be taken away from him.” (Matthew 13:12) I used to think that was a strange passage and secretly I didn’t think it seemed fair. “Fairness” would dictate that everything be divided evenly. God evidently doesn’t see it that way. He seems more pleased—and willing—with those who are pushy. 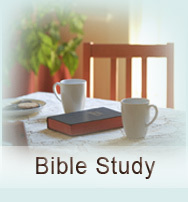 Remember the widow in Luke, Chapter 18. She pushed for her rights against her adversary every day with the unrighteous Judge until she wore him down and he finally gave in just to shut her up. Jesus suggests that we model ourselves after her in our prayer. But he reminds us that God isn’t an unrighteous Judge but a righteous one so how much more will he hear and answer us if we are “pushy” enough. I continue thinking about my little nest of birds. I see myself elbowing my way to the top with great relish and I see my mouth open the widest. My cheep is the loudest too. I don’t feel the least bit guilty. “C’mon, Lord, drop it in there. The whole worm. I’ll take the next one too.” From now on I intend being the fattest bird in the nest!